David Robert Joseph Beckham OBE (born May 2, 1975) is an English footballer who has played for Manchester United, Real Madrid, AC Milan, in the US soccer league and Paris St Germain. Outside of football, he also created his own brand of clothing and is one of the most iconic sportsmen. Beckham is the 2nd most capped England player of all time (115). He is also the only Englishman to score in three different World Cups. Beckham has twice been voted the runner-up for FIFA World Player of the Year. He was captain of the English national team from 15 November 2000 to 2 July 2006. Beckham’s career began when he signed a professional contract with Manchester United, making his first first-team appearance in 1992, at the age of 17. While with Manchester United he played a key role in their dominance of the FA Premier League, being pivotal in accomplishing The Treble of the League, FA Cup, and UEFA Champions League in 1999. During this time, he was managed by Alex Ferguson. Allegedly Ferguson once threw a shoe at Beckham in the changing room. Though, despite their differences, they have mutual respect. However, Ferguson also later paid tribute to how hard David Beckham worked – in particular at gaining accuracy in free kicks. He left Man Utd to become only the third Englishman to sign for Real Madrid in 2003, after Laurie Cunningham and Steve McManaman. In 2006, after England’s exit at the World Cup in Germany, he stood down as captain and was then succeeded by Chelsea captain John Terry. Beckham was dropped from the England national team selected by coach Steve McClaren on 11 August 2006. In his first world cup, David Beckham was sent off in the quarter-final against Argentina for a petulant kick – a game England went on to lose. This made him a public enemy number one. However, he redeemed himself during the next few seasons. In particular, his spectacular last-minute free kick against Greece to enable England to qualify for the 2002 World Cup finals. At the end of the 2006 -07 Spanish season, David was unable to negotiate a new contract with Real Madrid. Therefore, he was free to negotiate a new contract. The best offer came from American football team LA Galaxy. The money was very good and his wife Victoria was keen on the idea of moving to America. After negotiating the contract there was a sudden improvement in the form of David Beckham. He even earned a recall to the England team under Steve McClaren. There were also last-minute attempts by Real Madrid to secure the services of Beckham. However, the contract was done and Beckham moved to America. 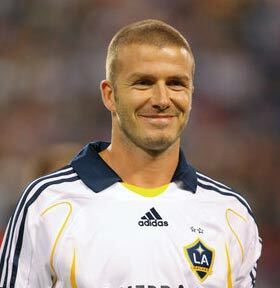 In the US, Beckham felt he was missing out on European football, and that this had cost him a better chance of being picked for England. In 2010, he managed to secure a temporary loan to A.C. Milan. This has become a source of friction with his L.A. Galaxy employers as he seems to place playing in Europe above America. David Beckham, as one of England’s highest-profile players, was used in the successful 2012, London Olympic bid, and the unsuccessful 2018, England World Cup bid. 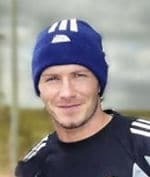 To the disappointment of many, David Beckham was left out of the Great Britain squad playing in the London Olympics. It was felt after Beckham’s efforts to bring the Olympics to London, he deserved a fitting international swansong. However, the manager, Stuart Pearce didn’t pick him. Beckham played a role in the opening ceremony and was visible during the games. Recently, Beckham has been based in the US where he plans to start a new MLS franchise in Miami, with Beckham as the principal owner. Beckham has also launched his own line of fragrance for men and has 40 tattoos. He has appeared on the front of many magazine covers and is an influential fashion figure. Citation: Pettinger, Tejvan. 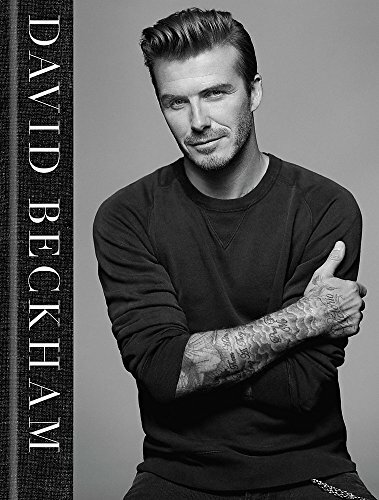 “Biography of David Beckham”, Oxford, www.biographyonline.net, 9th Aug 2014. Last updated 2 February 2018.